Gowalla has added some pretty significant features to its website today: city pages, the ability for businesses to claim venues as well as for venues in San Francisco, New York and Austin to reserve custom stamps/stickers. For end users, the city pages news is going to be the most important change. Each page features a large Google map at the top that zooms in when someone checks in (most likely though it doesn’t show every user, and there must obviously some delay, as it is one at a time). 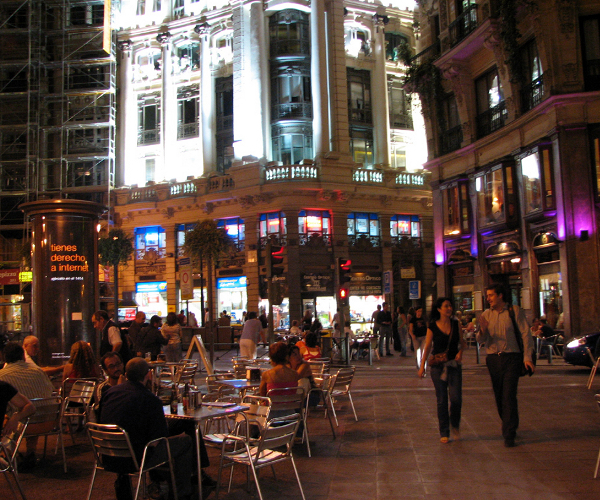 Each city page also features Popular Places (with custom stickers), Highlights, such as “Best Cup”, “Best Kept Secret” and “Best Live Music” as well as Top Trips, Top Food and Photos. Right now, there seems to be 32 cities with pages, including cities in the US, Canada and Europe. The city pages are certainly attractive looking, informative and up-to-date. It will be interesting to see if this not only leads to place discovery but also to friend discovery, as after watching a city page for a few minutes, it’s pretty clear who some of the active Gowalla users are. Perhaps a more direct way to enable friend discovery within a city would be helpful to some (though it could also be creepy too). While there are other services like Yelp and CitySearch that provide listings services based around cities, our goal is not to create another local directory service. Rather we aim to show you what’s popular based on your friends’ activity, what’s going on right now, and what hidden gems are waiting to be found locally. Of course, the “places” field is much more crowded right now than just Yelp and CitySearch: Google, Facebook, Foursquare and a number of other services are in a pitched battle right now to be “the place page” for businesses on the Internet (Google today introduced photos on its Place pages), so Gowalla has stiff competition. 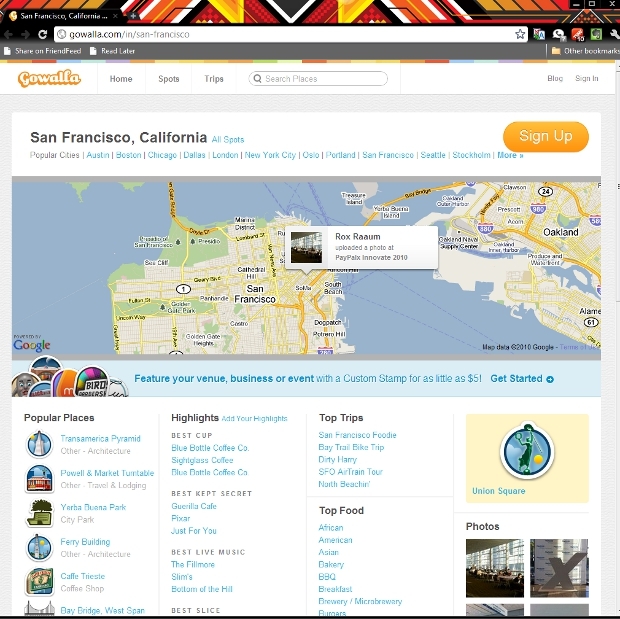 That said, if they can really integrate the venue pages into the attractive city pages, Gowalla’s offering would certainly look very slick to businesses. Which leads us to Gowalla’s final announcement today: custom stamps/stickers for $5 a pop. 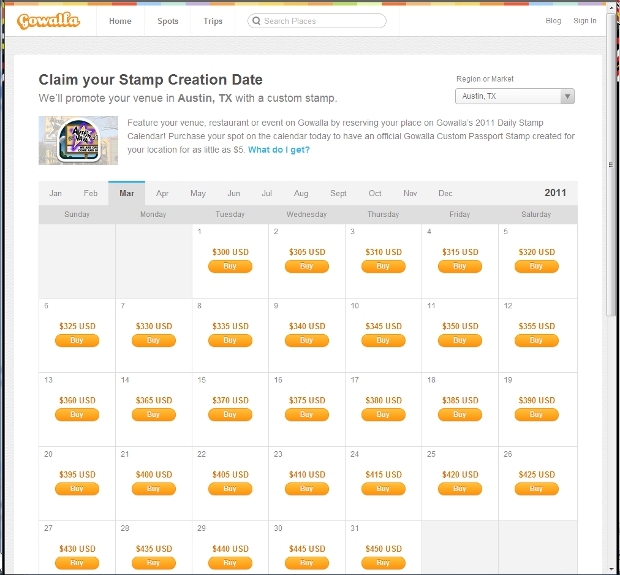 If you’re a business in San Francisco, New York or Austin (where Gowalla is based), then you can apply/buy a custom stamp for Gowalla’s “Custom Calendar” which it plans to launch in 2011. The calendar is a cool idea: businesses get to buy a day for a range that starts around $60 and goes well into the hundreds (for instance, in March in Austin – i.e. SXSW, days can run up to $450). So, if you are already thinking of throwing down that kind of bling on buying a day of the calendar, the $5 extra for a custom stamp would certainly seem to be worth it (that said, Gowalla says “for as little as $5” so some stamps might be more expensive). By buying a day, businesses can get the custom stamp, will get a pair of window stickers, and will be a featured venue on Gowalla, including on the city page. We glad to see Gowalla make all of these moves, as it really shows a renewed focus from the startup, as well as one that has a clear business model. We’re looking forward to hearing about some case studies from these new changes as well. Read next: Rumor: Is Apple Looking To Acquire Sony?